There are approximately 170 miles between Raleigh, NC and Charlotte, NC and there are a myriad of ways to get there. Some will take an extremely long time, such as walking; others will be relatively quick such as flying. Determining one’s best route will be based on a time factor. Typically, business travelers want to get there and get back. Time will be of the essence for these travelers. Vacationers, with more time, may want to take a more scenic route. And for those who are fitness and adventure conscious, walking or biking may be the ideal way to go. How far is Raleigh, NC from Charlotte, NC? The distance from Raleigh to Charlotte is 170 miles. 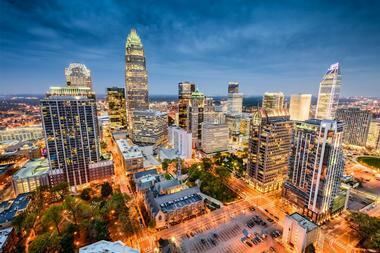 A round trip flight to Charlotte from Raleigh may be the fastest, but also the most expensive. 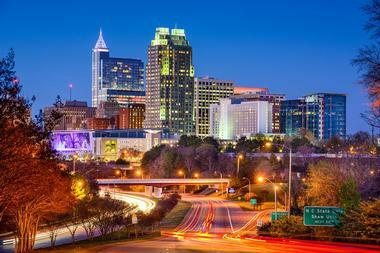 Charlotte is one of the top ten destinations from Raleigh-Durham International Airport. Serviced by American, Airtran, Continental, Delta, Southwest, and United airlines, there are plenty of flights from which to choose. Currently, fares start at $291 round trip depending on the day of the week. Weekends tend to be slightly higher at $300. The airport is about ten miles northwest of Raleigh. There are two major highways leading out of Raleigh to the airport: I-40 and US-70. From I-40 take Exit 284B or 285 onto Aviation Parkway and follow the signs to the airport. From US-70 take Exit 293 on to Aviation Parkway and follow the signs. Hourly and daily parking is available at the airport. The hourly lots are $1/hour with a max of $24/day. The daily lots are $10/day maximum. There are several airport hotels that offer sleep/park packages which are perfect for early morning departures. Amtrak offers service to Charlotte with trains departing several times per day on the Carolinian/Piedmont Routes. Fares start at $30.50. The route takes about 3 hours and 20 minutes one way. The Piedmont Route is from the Raleigh State Capital to business centre of Charlotte. The Carolinian Route is the same with the exception of an extension to New York. 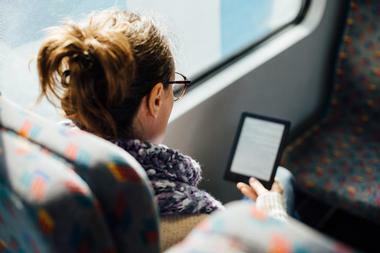 For the traveller’s convenience, Wi-Fi is offered on both routes. A business class seat on the Carolinian costs approximately $43.50. Exclusive amenities are available for this class of fare. This ticket is fully refundable if cancelled before departure. Business travellers receive a 25% point bonus for Amtrak Guest Rewards members. The business class has a dedicated car with service attendant. Other perks include a pillow, complimentary soft drinks and access to premium digital newspapers. Also available on select routes on the Carolinian is train-side checked bike service. At no additional cost between Raleigh and Charlotte, travelers can check one’s bike. Reservations are necessary. Travelers must be able to handle and lift the bike up to the train car themselves. Only standard bikes are permitted; one per person. Dining is also available on the trains. A café car serves up take-out type foods such as sandwiches, pizza, snacks, soft drinks, and beer and alcoholic beverages. Amtrak offers a variety of deals that change regularly. Senior discounts of 15%, AAA membership discount, 50% companion fare just to name a few. Restrictions apply. Cats and dogs are allowed on the Carolinian/Piedmont routes. Pets must be under 20 pounds and in an approved carrier. The carrier must fit under one’s seat. Travellers must have proof the pet is up to date on vaccinations. Pets are only allowed in the Coach section of the train. Reservations for the pet must be made at the same time as the traveller reservation. Pet fare is $25 one way. Keep reading for more ways to get from Charlotte to Raleigh. The Greyhound Bus offers service between Raleigh and Charlotte on a daily basis. Economy fares start at $28 round trip. A flexible fare starting at $96 round trip gives a few perks such as refundable fares, no fee to change the reservation if done before the original departure date, two checked bags (free), and 3 reward points each way. The shortest schedule is two hours and fifty minutes. There are several amenities onboard Greyhound. Personal, adjustable air vents; bath room on board; wheelchair lift and seating space; one’s choice of seat; priority boarding for certain classes of fares; and overhead storage – all included for the traveller’s comfort and convenience. Other perks include free Wi-Fi, extra leg room, reclining seats, and 3-point safety belts. Greyhound also delivers packages. This is not your grandmother’s bus. The detailed Greyhound website can give all the information one needs to book a trip to Charlotte. GFW Shuttle Services operates between the Raleigh-Durham International Airport and Charlotte-Douglas International Airport. The service runs 24/7. The shuttles arrive and depart every hour. 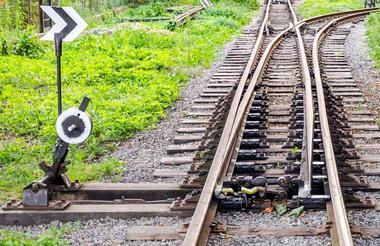 Prices may vary dependent upon schedule and number of passengers. For a more private ride, contact Carolina Car Service. With runs between the airports this ride can offer privacy and luxury. Traveling by car offers a lot of advantages. First, one has a vehicle to drive when and where they want. Second, one has the flexibility to stop and see various sites along the way. 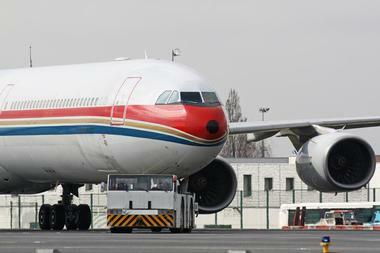 Third, it is most likely more economical compared to commercial carriers. Rental cars are available in Raleigh. Economy cars start at $14/day; standard cars are $17/day; SUVs start at $52 and mini-vans at $108/day. All the major car rental agencies are represented in Raleigh. There are many websites that can help one reserve a car such as Travelocity.com; Hotwire.com; Expedia.com and others. Regardless of whether one rents a car or drives their own personal car, the route options will be the same. One of the most direct routes is to take I-40 West and I-85 South. This route will take approximately 2 hours and 40 minutes. As of this writing there is road construction on I-85 between Salisbury and Concord. Google Maps has an excellent map which details where the road construction is taking place. These highways feature four lanes at a minimum and expand to eight lanes in around large metropolitan areas. I-40 and I-85 has been signified a Blue Star Highway. Blue Star Highways are designated throughout the United States to honour the military forces. Blue Star Memorials are located at specific points. The JC Raulston Arboretum is an attraction of note. Located near the I-40 and I-440 intersection just off of Hillsborough Street in Raleigh, the gardens are located on the campus of the North Carolina State University. These gardens have been ranked #13 in the nation for best public gardens. Admission is free. Hours of operation are April–October, 8 a.m. to 8 p.m. and November–March, 8 a.m. to 5 p.m. The garden is host to many special events throughout the year. Children’s program and other educational programs are also available. I-40 takes off northwest out of Raleigh toward Burlington. It runs south of Durham. If one wanted to travel through Durham to enjoy the sights, take I-85 through the metro area. Northwest of Durham I-85 converges with I-40 and shares the route until Greensboro. Just east of Greensboro I-85 takes off southwest. Take Exit 228 to bypass Greensboro. To travel through Greensboro, stay on I-40/I-85 to Exit 220 and follow I-85 south. As I-85 approaches the Yadkin River, there is a family campground – Cross Winds Family Campground just off of Exit 84. This is a full-service campground with a swimming pool, recreation room, fishing pond and more. Just a few miles east of I-85 on Hwy. 152 one will find Tiger World Endangered Wildlife Preserve. Use Exit 68 onto Hwy. 29. Turn left onto Hwy. 152. Open daily 9 a.m. to 5 p.m., ticket prices are $15/adult and $12/child. Senior discounts are also available. During the week there are educational guided tours at 10 a.m. and 2 p.m. This site is closed on Wednesdays. Tiger World is a non-profit conservation devoted to preserving endangered exotic animals. As I-85 approaches I-485, the SeaLife Charlotte-Concord Aquarium is just off of Exit 49. Tickets start at $14.95 for adults and $9.95 for children (purchased on-line). Hours of operation are Mon.-Sat. from 10 a.m. to 8 p.m. and Sundays from 12 p.m. to 6 p.m. Featuring thousands of aquatic creatures and an underwater tunnel, what better way to spend some time with family and friends and learn about the world’s oceanic life and habitat. One should be aware that a large portion of I-85 is within Charlotte city limits. Therefore, exits may not be marked “Charlotte” but will only signify the exit number. Charlotte has many attractions and lodging options. Charlotte is home to the NASCAR Hall of Fame, US National Whitewater Centre, Historic Rosedale Plantation, Billy Graham Library and a host of other sensational places to visit. Along the I-85 corridor and near the Charlotte-Douglas International Airport there are plenty of lodging options from which to choose. The North Carolina Department of Transportation has an interactive map that details various bike/walk routes through the state. To get to Charlotte from Raleigh one would need to take Route 2 west and change to Route 8 going south. Whatever option one chooses, whether for business or pleasure, convenience or sightseeing, North Carolina offers a fantastic list of alternatives to travel from Raleigh to Charlotte.